Club Penguin Cheats by Mimo777 Club Penguin Cheats by Mimo777: Club Penguin Pin Cheat - CUPCAKE Pin! 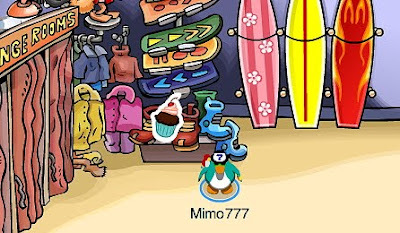 My penguin is too hungry and he will eat all the cup cake pins!!!!!!!!! Hmm.. I wonder why a CUPCAKE pin? Maybe its for the April Fools Party? Cuz it's random? Awwww, it's such a cute pin lol! Yeah, GOOD POINT!! Well done for noticing!! Same here! Do you know how many cupcakes I can eat in a minute?! I can't post it here unfortunately - the number's too big! All right, I'll say it. "I WANT CAKE!!!" There. Happy? DON'T say "The cake is a lie!" That's just rude. Q 2. Which upstairs of a room has a light switch that you can on and off? Q 3. Which Place has Binoculars over a chair? Q 4. Which room has more then 200 windows? Q 5.Which 2 rooms have a waterfall? Q 6. Which room has the game Find Four? P.S Good luck! I will post the answers soon! maybe in a week or even earlier!so anyway good luck for know! why would they have that? Aw. It broke the record. Remember when we had three pins at a time? That was so awesome! i have a question for you Hnwjanuary11 can you answer it? Tell me about it! Fish and squid and hot sause and seaweed on a pizza? I don't think so! And next time, don't use too many !'s. Sorry, in the comment rules! That big, huh? Guess how many I can eat in a minute?...One! Maybe even less than one, I love sugar, but, you know, I am a very slow eater! Aww...you want to ask me a question? *Blushes* that's so sweet! ;) Jk...well it is, but..Ok, what is it? Let me know! 4. 200 windows?! Let me guess...The Dojo?? 5. Let's see....the Cave Mine and the one Lake thingie! Anyone know what cinquains are? They are special poems with one word (title) on the 1st line, two adjectives on the 2nd, three verbs on the 3rd, a four-worded sentence on the 4th, and another word that describes the title on the last. I just made one up about Mimo! Sweet i just got a mimo pivit on tootsville. The boot pin is still here! uh oh! Someone may have hacked into ur account!! Change the password! Oh yeah and how do you do ur comment in bold? mimo i reckon there making the pins to big do u agree? Because it's random. Club Penguin pins don't always have a reason to exist besides looking cool. Cool, april fool's is perfect for the name Cheiky too! Well hide it from him or her and give it pizza. Hmmm.. I wonder why a CUPCAKE pin? Maybe it's for the April Fools Party? Cuz it's random? I don't think so. I agree it is random but pins don't normally have to do with anything for parties. CUPCAKES ROCK! OK sorry about the caps I'm hungry and I didn't eat breakfast! Yummy! Maybe it's because Billybob's hungry! No I think the whole CP support staff is hungry! XD It's a random pin. I hope yeti's like cupcakes! I ate 10 pizzas at Chuck E Cheese's! No lie! This is cool! I've always wanted an edible pin! LOL! i hope so its looks good!!! cp should make loads of pins with food in them!!! I think that's really weird. 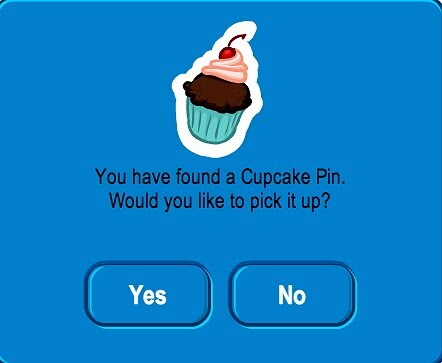 Why a cupcake pin??? Lol! Did you tell anyone about your password? If so that could be the case! 1. Night Club And Lounge! Any of us mods can answer it! If it is private I suppose Hnwjanuary11 could though. Mimo I totally understand why you would make me a NOT TO BE MOD. I know... and I'm sorry Mimo. Really I am! why are they having all the new stuff on thursdays instead of friday now...when the newspaper says friday. Well, I think it has to do with the newspaper delay on New Years, or around here. So they are doing stuff on Thursday...usually. They are trying to do stuff early now! That's ok, Kk! Mimo would understand! I have been very busy, with HW and nicer weather. I hope you can start Modding again soon! EXCELLENT!Fantastic! You really know cp! WOW! nice good job! and when is mimo gonna post the answers for his difference thingy? Besides two people who I really trust, I didn't give anyone my pass. And I used my uncle's email, and I don't know what it is now, so I can't change it! :O And I make my comments bold like this: Just type in < b > but without s p a c e s or it won't work! So if you do it right, it will look like this. To end making your comments bold, do < / b > without spaces! It works with italics too, but with an i. Same with blue, just do a. Sorry Mrcarfan9000 but the A. to Question 5 is not none. At the cave and at the dojo courtyard there is a waterfall.